I had to much fun creating this week’s free cut file for Easter. It would be adorable on a kiddo’s t-shirt, a decorative flag, DIY Pillow Cover or even a wood sign! I really appreciate all the time you devote to your followers! I want to use the bunny file, but I cannot get it to open. I do have the designer edition of software on my Silhouette 3. I downloaded each file and attempted to open. I got a message that the file was not supported. Am I supposed to download each of the files, or just the SVG file? I didn’t download all three and leave them open. I just replaced one as I downloaded the next as I didn’t know which file I needed. I know this is long, but didn’t know how to say it in a shorter manner! Please help! I need this for a baby! Hi Genelle! Check out the “Cut File FAQs” near the end of the blog post. The “How Do I Get the Designs into My Silhouette Studio?” will tell you what you need to know. 😉 Happy creating! 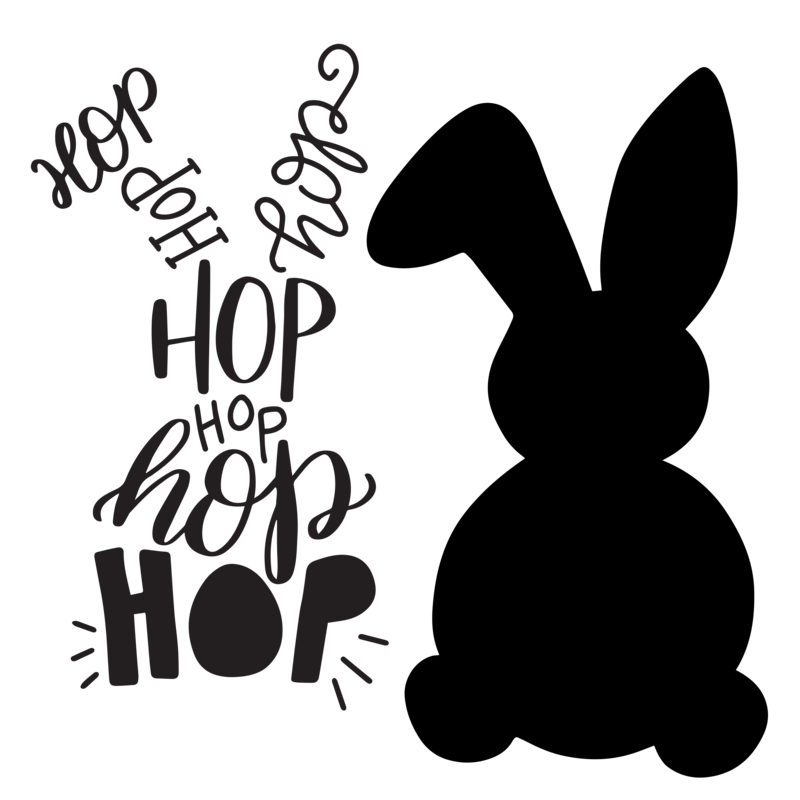 Genelle, after opening the zip file drag the svg bunny file to your Silhouette library or to the design page of Silhouette. Then you can save it from there. Hope you get it to work!! Thank you so much for these each week. You two are the BEST! Can you tell us how you created the pillow? Did you cut out black HTV and added to white fabric? Thanks so much! Adorable! Huge fan! Super cute bunny! I can’t wait to use it. Thanks so much for taking the time to create these images and for sharing them with your followers for FREE! You are greatly appreciated. Oh this is so darling! Just love it. Thank you so very much! Love the bunny! Can’t wait to try using ! Thank you so much for the bunny file. It was my first cut and I love it! Thank you for ths great SVG. That cute gifts, I have a Cricut as I can get them down so they open thanks.